I know it's only been a short time since my last color application but I was really hating the mousey light red-brown with now lighter roots and darker ends. eSalon's color rinse seemed to have dried out my hair and left me with some increased unevenness in overall color. I was feeling desperate for a change and decided to put more color in my hair, bringing it down a notch to try and get back that healthy look and feel. I had no idea what brand I would pick, but on a whim, picked a non-permanent color at the grocery store (total impulse buy). 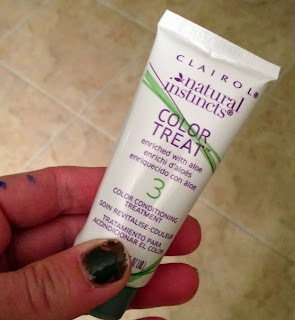 Clairol Natural Instincts Dark Brown #28 caught my attention. When I was younger, I used this brand instead of permanent color to appease my dad, who hated the idea of me coloring my hair and I recall my mom trying it once or twice. Since it's not permanent, I felt comfortable going darker. With permanent color, I'm always afraid that dark brown will come out black. With Natural Instincts ammonia-free color, I took the risk without fear. Applied color from root to about 1/3 the way down the hair shaft, beginning at the front and working toward the back. After waiting 5 minutes, I added color halfway down. After another 5 minutes, I brushed in some of the color through the bottom 1/3 of my hair, but leaving it mostly as it was. Rinsed after a total of 15 minutes, applying the conditioning treatment that came in the box. Since I bought "dark brown" rather than specifically a cool or warm brown, I wasn't sure what I'd get. Once applied, my hair looked like it was coated in a dark reddish brown dye. Applying the color was easy enough. It's a liquid color, so I had a little dripping, but nothing difficult to clean up. The bottle was easy to hold compared to Olia's applicator and the smell wasn't as potent as Nice n' Easy's. After rinsing, my hair felt a little rough. I didn't have a lot of shedding, which is awesome, but I was worried about dryness. 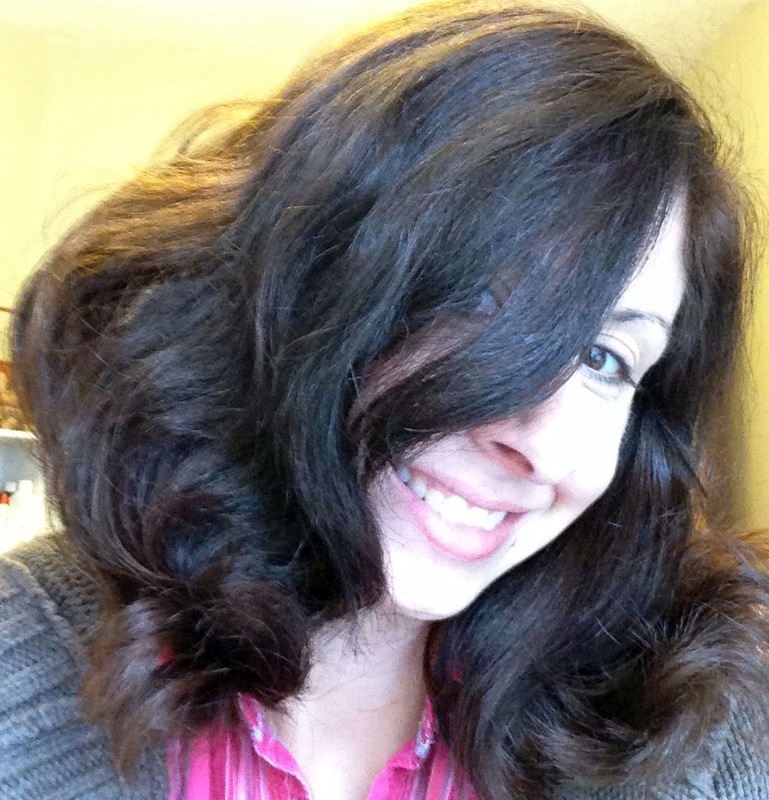 Thankfully, after using the Natural Instincts Color Treat conditioner (comes with the coloring kit), my hair felt amazing - super soft and smooth! For me, the real test of a home color kit, is the resulting color and condition of my hair. I was really floored by how natural my color came out. It's incredibly close to my natural shade and I love how well everything matched up with the sections I left untouched. It's like there are several rich brown tones throughout and it shimmers in the sunlight. My hair looks and feels way more healthy than before I colored. As soon as it dried, I ran to my husband and said, "you have to touch my hair!" I also texted my sister this picture right away since she loves to color and needs to try this asap. The real test will be whether this color actually lasts 28 shampoos, which for me would be a long time. I'll be pleased if I can go 6 weeks between coloring and since I really want to keep this color, I'm crossing my fingers. I've already ordered a 3-pack on Amazon. So it's not just that I like this color, I love it! 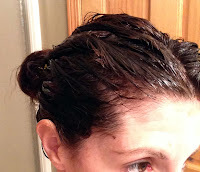 In two weeks, I'm supposed to use a color refresher that deposits color pigments in my hair. This little packet came in the box and my guess is that's how I'll get the full 28 shampoos. Fine by me! What you should know is that when I visited the Natural Instincts website, I couldn't find Dark Brown 28 among the color options. They offer 27 liquid shades and 8 creme shades, plus 3 that specifically help with brassiness, but none looked like the one I bought. Thankfully I can buy it online, but I'm worried it's been discontinued. While I love this color, I found I'd need two boxes if I was coloring my whole head. I barely had enough for the 2/3 or so of my hair I did color. If you have long or thick hair, plan for two boxes. It's so affordable that I really don't mind buying two. My hair is shinier and healthier, and the color is more rich and luminous. When I visit my sister at college this weekend, I'm taking her to buy some Natural Instincts hair color. 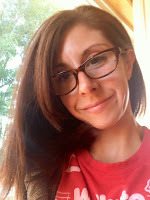 Curious about my other hair color experiences? Check out more of my hair color posts!